For almost forty years, landmines have marked Zimbabwe’s borders. While some of those mines have been cleared, over a million remain. 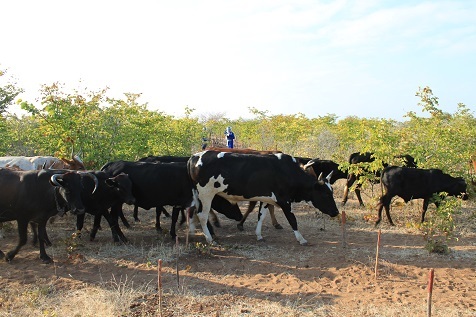 Communities on the Zimbabwe-Mozambique border have lived with these mines and each days thousands of people accept the risk and pass through the minefields to graze their livestock, tend their crops, collect water and even go to school. The fencing that marked the minefields were taken down long ago, the metal used for other purposes. All that remains are the mines. With over 2,000 reported human casualties and 120,000 livestock casualties, people living in the border communities are aware of the mines and know their location. Despite the danger, they accept the risk. A herd of cows cross the minefield. 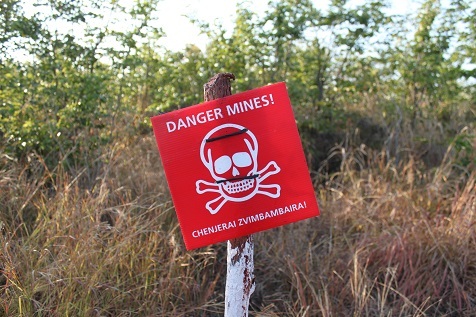 Outside of the border regions, many Zimbabweans don’t know about landmines. Several individuals I spoke with believed that all of the mines had been cleared and in the interior of the country that is true. The only landmines left in Zimbabwe are along the border and there is little or no UXO contamination as is found in other countries. The localized nature of the landmine problem makes it easier to address, but also means that attention from the country as a whole has drifted. Landmine clearance in Zimbabwe is progressing steadily at the moment, but could take another 30 years or more at the current levels of investment. With that timeline, a robust mine risk education program for the border communities, focusing on behavior change and reporting rather than awareness, is needed to minimize casualties until every mine is cleared. In my opinion, more mine risk education is needed in Zimbabwe. The Zimbabwe Mine Action Center (ZIMAC) is able to provide mine risk education (MRE) thanks to support from the International Committee of the Red Cross. However ZIMAC only provides MRE in mine-affected communities on an “emergency” basis when there is an increase in the number of casualties or when ZIMAC receives a report of a mine or piece of unexploded ordnance (UXO) outside of the border region. ZIMAC does have an outreach program where they send representatives to regional agricultural fairs, but the number of beneficiaries is unclear. The humanitarian demining organizations, the HALO Trust and Norwegian Peoples Aid (NPA), have the capacity to provide MRE, but to do so would take staff away from landmine clearance and communities needed MRE can be hundreds of kilometers from current work sites. One innovative response to this need is the proposed collaboration between the HALO Trust, the United States Embassy and the children’s literacy company, Happy Readers. Happy Readers is a Harare-based company which has produced a series of children’s books aimed at improving English literacy in Zimbabwe by providing entertaining and culturally-appropriate materials for primary schools. While Zimbabwe touts a 93% literacy rate, that figure is based upon the suspect belief that primary school enrollment constitutes functional literacy. Happy Readers’s research shows the true English literacy rate in rural Zimbabwean schools is much lower and leads to reduced professional opportunities later in life. Using the HALO Trust’s expertise and financial support from the United States Embassy, Happy readers will produce a special volume of their children’s books focused on mine risk education. The book will feature characters introduced in other stories and have a special section at the end with information about how to report landmines and additional mine risk messages aimed at adults. In my conversations with Happy Readers and the HALO Trust, I understand that the proposed support from the Embassy may not cover the full costs of the volume, but Happy Readers are committed to the project all the same. I support this initiative and hope the international community can find a way to make up the balance of the costs. 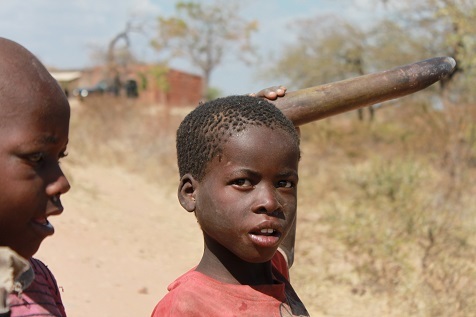 A boy holds the picket from a Ploughshare mine. Each Ploughshare is protected by two buried landmines which he was lucky to avoid. Beyond what Happy Readers is doing, funding should be secured to enable ZIMAC, HALO Trust or NPA to provide mine risk education to border communities. Again, the people living in the communities know about the risks, but they accept those risks. 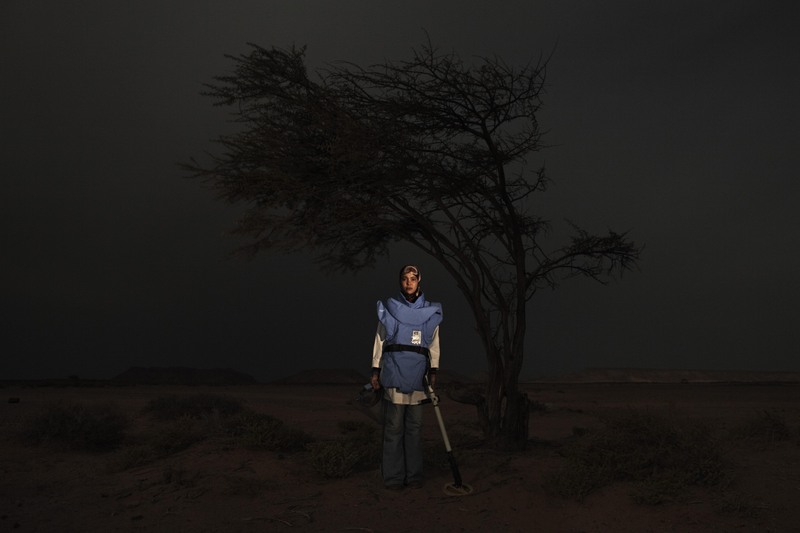 I saw many people using well-worn paths across the minefields, but HALO Trust showed me several places where they had found landmines just a meter or two from the paths so communities need to be informed about the risks in places they think are safe. Also, I saw a boy holding the stake from a Ploughshare mine and while all of the Ploughshare mines have been cleared, the landmine laid around the Ploughshares have not so people should be warned about metal scavenging in the minefields. Lastly, minefield markers need to be verified from time to time. Markers can be displaced by weather, animals or people and while doing so is a crime, there should be a system where the markers are checked and replaced if missing. States, advocates and survivors came together in the Mozambican capitol of Maputo to review the progress of the Mine Ban Treaty after 15 years of implementation and agree upon an agenda for the next five years. From June 23rd to the 27th nearly one thousand delegates participated in formal sessions and dozens of side events celebrating the Treaty’s accomplishments and preparing for the next phase of work. (Round-ups of each day’s activities, as reported in social media, can be found here: Day 1, Day 2, Day 3, and Day 4.) While there were entirely too many moments of note to try and summarize, from the United States’s announcement that it will no longer procure anti-personnel landmines (3rd Review Conference) to the continued confirmations from the host country of its desire to be mine-free by the end of the year (3rd Review Conference), there were four items that particularly stood out for me despite only observing the Conference from a distance of more than 8,000 miles away. These items include challenges from deminers, a defense of the use of landmines, and the continuing challenge of survivor assistance. Co-founder of the HALO Trust and current president of HALO-USA, Guy Willoughby, addressed the Conference’s attendees on Day 3 (The HALO Trust). With over 25 years of experience in humanitarian demining and over 7,000 employees employed in 17 countries clearing landmines, Mr. Willoughby challenged the attendees to “aspire to making landmines history” and reminded states that they had agreed to a ten-year deadline to clear all landmines. 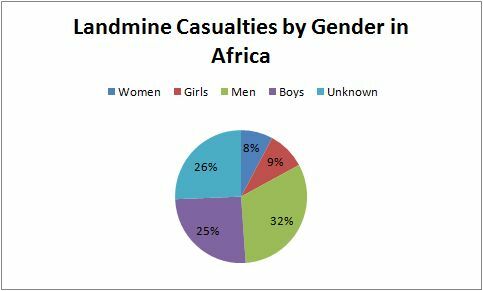 The HALO Trust’s forecasting shows that with modest increases in donor funding, all landmines could be cleared from Afghanistan, Angola, Armenia, Cambodia, Colombia, Georgia, Sri Lanka, Somalia and Zimbabwe by 2025. But, if mine action contributions decline, “Angola will take 28 more years to clear instead of ten… and Zimbabwe 48 more years.” Those delays would mean “thousands more human and livestock casualties, thousands of hectares left uncultivated.” The HALO Trust is widely respected within the mine action community and Mr. Willoughby’s intervention generated the momentum needed for the participants to agree upon 2025 as the goal for a landmine-free world. I do not envy the Indian and Chinese delegations at the Maputo Conference which participated as observers since neither country has signed or acceded to the Mine Ban Treaty. The Indian delegation stated that the Mine Ban Treaty was unnecessary as “the Convention on Certain Conventional Weapons provides the appropriate legal framework for harmonizing military necessity with humanitarian concerns” and defended the need for anti-personnel landmines as part of “the legitimate defence requirements of States, particularly those with long borders.” Despite its support for “a world free of the threat of landmines,” India’s “national security concerns oblige us currently to stay out of the Convention” (3rd Review Conference). The Chinese delegation admitted to keeping “a very limited number” of anti-personnel landmines in its stockpile “for defence purpose.” These mines are compliant with the Convention on Certain Conventional Weapons but absolutely banned by the Mine Ban Treaty. Also, in a challenge to the Mine Ban Treaty’s Article 5 which obligates States to clear known minefields within their territory, China advocated for “the principle of ‘user to clear’” to “accelerate the elimination of the landmine scourge.” The “user to clear” principle would relieve States of any obligation to protect their own citizens from landmines (3rd Review Conference). By defending the use of landmines and reiterating their “legitimate” use, India and China continue to provide cover to states like Egypt, Morocco and Israel which remain outside the Mine Ban Treaty. As the Special Envoy for the Universalization of the Mine Ban Treaty said, the decision to ban landmines is not a military one, it is a humanitarian one. There is no balance between military utility and humanitarian costs when it comes to anti-personnel landmines; the humanitarian costs so far outweigh any possible military utility as to render the mines mere “weapons of cowards” as Pope Francis described them. The “user to clear” principle is just wrong and let me offer two examples to show why. 1) In Zimbabwe there are over 1 million landmines that were laid by the Rhodesian government in the 1970s. Rhodesia has not existed since 1980 so who would be responsible for clearing its landmines if “user to clear” were the rule? 2) In current conflicts, most landmine users are rebel groups, not governments. Who would be responsible for clearing rebel-laid mines under “user to clear”? In the Maputo Action Plan, the States Parties recommitted themselves to the “full, equal and effective participation of mine victims in society.” The Plan then goes on to say that each State Party with landmine victims “in areas under its jurisdiction or control… will do its utmost to assess the needs of mine victims… [and] will do its utmost to communicate to the States Parties… by April 30, 2015, time-bound and measurable objectives it seeks to achieve… that will contribute to the full, equal and effective participation of mine victims in society” (emphasis added) (Maputo Action Plan). Why, oh why, have States Parties not already conducted these needs assessments and why couldn’t States Parties come to Maputo prepared to discuss their objectives and activities to respond to these needs? Why will States Parties only do their “utmost” to meet these commitments? Why not have the commitments be binding? Because the commitments are not binding – a State can always say that it tried, but could not meet the deadline and still have fulfilled the obligation of the Action Plan – I am afraid that we are kicking the can down the road yet again. If we have made a “solemn promise to mine victims,” why can’t we keep it? How much longer will survivors trust the States when they make pledges that are not adhered to? The Maputo Action Plan says all of the right things, but in the end, there is nothing binding there on survivor assistance and we have once again let down this group that has led the charge for a mine-free world. I wish I was surprised and not just disappointed. On the whole, the Conference was extremely positive, the Maputo Action Plan can be an aspirational document and hopefully the goal of a mine-free world in 2025 will be achieved. Let’s get to work.